"Creating and selling private label products does not have to be difficult and complicated. I have been doing Private Label for almost 4 years —and I can tell you it’s pretty easy if you know the right steps to take. But, this is one of those things where the Devil is in the details. 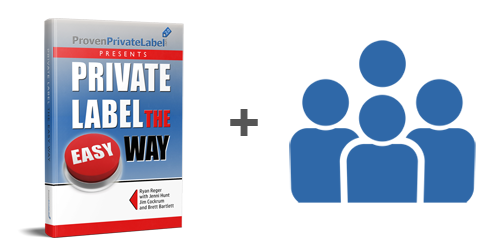 Jim’s 2.0 version of Proven Private Label course simplifies and de-mystifies the steps to take to find, develop and sell private label products." Amazon Private Label Success Has Been Overly Complicated For Far Too Long. We've all seen the overly expensive and overly complex courses that have launched around the topic of Amazon private label. There's a better way – and we can prove it. It really can be amazingly simple to launch your own brands on the world's largest online selling platform! We've sold a few hundred million dollars of private-label products on Amazon and we can say with confidence that your success in private label doesn't have to be complicated. If you've been listening to the way it's been taught by most "experts," you probably think private label selling on Amazon is complex. These experts go on and on about international sourcing, finding cooperative, eligible suppliers and manufacturers, all the shipping issues and packaging issues, branding, research etc. It's no wonder some people are charging thousands for courses that try to turn newbies into master import/export mavericks in 50 lessons. I have good news - It doesn't have to be that complicated if you have a SIMPLE plan! PPI takes the guess work out of selecting the right Private Label product by showing you how to find the "golden gaps" on Amazon. These "golden gaps" are products people are searching for, but cannot find – creating an opportunity for you to fill the gap! And there's tens of thousands of them! Brett Bartlett is the guy who pioneered this system and now has an 8-figure Amazon business. Check out the below screenshots to see some PPI results. take you step by step from zero to your very own product? or have a handful of hot products before the next fourth quarter hits! What if you could fill the golden gaps with your own Private Label product? We have a system that makes the entire PL development process simple...and want to offer you not just the system – but access to private mentoring. This is not only finding products and marketing, but also walking you through every step from initial brainstorming to having your very own Private Label product you can resell on Amazon, eBay, or anywhere else! We will show you an actionable, practical process you can apply over and over again. On 5 products... or 50... or more! While people have the best intentions when starting a private label product, many simply don't follow through for various reasons. A system of accountability, encouragement, and guidance is the way to overcome this. How do I find the right company or person to develop it? to establish your own Private Label products for your business. The mentoring program is designed to walk you through step-by-step so that you have a solid handle on what you are doing... as well as understanding why you are doing it. We will expose you to new revenue streams that you can create with every Private Label product you develop. 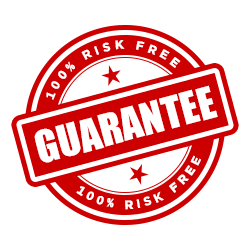 You will learn how you can have a never ending supply of inventory and with NO COMPETITION. You will be able to take control of your inventory pricing back from your competitors and put it in your hands. We will walk you through step-by-step. Every lesson is outlined with the easy to understand instructions, along with the homework lessons, so you can implement what you have learned right away. You will be part of a supportive community of experienced experts and online sellers. In other words... you aren't going it alone! Each module is designed to be "to the point"
and immediately actionable with "here's what to do next" steps. Lesson #13: What if your Product is Only Available Overseas? Lesson #20: Wash. Rinse. Repeat. 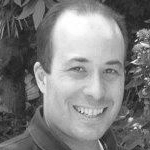 Ryan Reger was part of Jim's Mastermind group and has enjoyed private label success for several years. He has the heart of a teacher and enjoys sharing his simple process for success with others. We are honored to partner with him as our in-house private label expert. 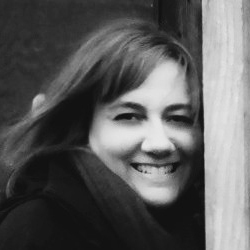 Jenni Hunt and I (Jim) have known each other for over a decade and partnered together on numerous successful projects. She brings her years of online selling experience to the mentor program for others to apply in their business. We are honored to have her on board as one of our private-label experts. Brett Bartlett is one of the most incredible private label success stories we've seen. His business took off so fast that he's hired a team of 70+ people! His "golden gap" strategy for finding in-demand products that are not currently on Amazon is revolutionizing online selling. 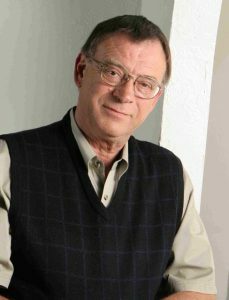 Jim Cockrum - that's me. I'm proud to partner with Ryan, Jenni, and Brett on this powerful private label course. My main job is finding the students, trainers and talented leaders who I know will inspire, inform, and open your eyes to the incredible opportunities that are waiting for you on Amazon as a seller. Thank you, Ryan and Jenni! I don’t know how you managed to make the process of private labeling any easier, but you’ve done it again! PLIAB is the most comprehensive ‘turn-key’ PL toolkit out there. I checked out the monthly list of 50 pre-vetted products and within minutes I found one that made sense for my business. I searched for and identified a supplier with minimal effort and I was able to download one of the ready-made logos in about 5 minutes. Within the hour I had a message out to the supplier for pricing and artwork packaging information. This shaved off weeks of research (and quadruple checking) that I would have had to do on my own! Everything in this ‘box’ is about making the private label process as easy as possible by taking out the guesswork that paralyzes most of us. Common anxieties are minimized with the groundwork they’ve laid out. This is truly white glove service. Signed. Sealed. Delivered. I’m sold! Hello everyone. Just wanted to leave some sort of testimonial/motivational post. I am posting this on my own and was not asked by anyone to do so. This is my own story that sprung out of this PL Mentoring Group. I was part of the first iteration of this group last year that Jenni and Ryan started and have benefited from their help and support beyond any of my wildest dreams. It started when I did my niche research and I came to the realization that I had stumbled across a niche that was completely untapped and open for PL and even wholesale. I quickly pounced on the opportunity and was blessed by being contacted by another group about partnering up and exploiting this niche. Long story short, it has led to exclusive selling agreements with large corporations, wholesale, coaching opportunities, multiple private labels, consulting for a large company and new opportunities that absolutely blow my mind. It was by no accident that I landed in this group and made all of these connections. There are no secrets, no weird tricks and all the information has been laid before you. I encourage you to stay active in this group and move forward and get out of the rut your in. A big THANK-YOU to Jenni Rosing Hunt and Ryan Reger and most importantly God. Great webinar on PLR Jenni and Ryan!!! One of the best I've heard. Way to go!! With this system all excuses & fears go out the window. Written well, & easy to understand. Everything is laid out for you and all that is required is to Take Action on the Gold that has been handed to you. My head is still spinning from the webinar! I just finished the ebook and it was a great read. As an experienced Private Label seller, I wasn't expecting to learn much, but to my surprise, I did pick up a few new gems! One that I will be putting into action came from the chapter on contacting suppliers. I also appreciated some new websites to look into for helping promote my products. The chapter that talked about what kinds of products to avoid and what types to focus on was extremely helpful. I knew a little already, but this really simplified and solidified what I already had a hunch about. There are just SO MANY courses now on Private Label that literally cost 100x the price of this book and cover practically the same stuff, but really over complicate things. Everything is broken down so simply that anyone can do this. Last night's webinar was great! and it's motivating me to take more action! I absolutely love this group and the direction we receive from Jenni, Ryan, and Skip. They and the fellow group members are supportive and never make anyone feel dumb for asking a question that may be obvious to someone else. Even though I don't have a private label product yet, I have many ideas and have learned a wealth of information here. Thank you to everyone for being so helpful. Guys and gals, I'm here to tell you that this stuff works. Just follow the system. I'm not bragging because I am just getting started, but doing nothing but following the system Ryan has laid out, these are my results in the first four days my product has been in inventory. 6 sales, all organic. I'm ranked on the first page for all 4 of my keyword phrases. I thought of six more this afternoon, and I am already on the first page or the top of the second on each of those. I'm also already ranked well inside the top 5% of the category, about to hit the top 3%. I'm so excited I can hardly contain myself. Now to tweak the listing a little and start looking for more products. All it takes is action! 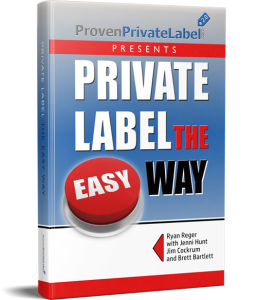 Ryan Reger is very knowledgeable about all phases of Private Labeling and this book should be added to your arsenal of tools. I am already using his ideas and blueprint to grow my business in ways I could only imagine. Thanks for making this so easy. The course is amazing and I stand behind 100%! The Private Label Mentoring course has been/is an invaluable help to my business. The lessons from the modules are easy to understand and apply. Gleaning from Ryan's knowledge and experience benefits my strategy for sourcing and listing. The group discussion via webinars and Facebook is a huge encouragement for how doable Private Labeling is. The information and resources from the program provide an immense and endless pool from which to draw. I am very pleased with the results we are experiencing. Thank you Ryan and Jenni! 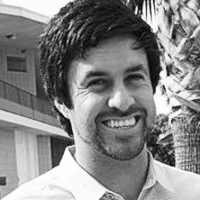 Ryan Reger is not just the latest guru trying to sell you his program. He's a real guy with real success. He's been through the trenches, made the mistakes and figured out the system. If you want to learn practical information from a true success story, you can't do better than this book. 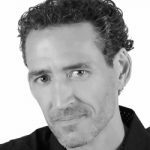 Ryan Reger's course offers insights into a fast, easy way of getting started with your own brand of products. Ryan shows you not only where to get the merchandise, but also gives tips on which product lines to grow, and which to avoid. He also provides important information on trademarks and patents to protect your new brand. One of my favorite parts of this book was on how to speak to a prospective manufacturer -- what to say and what not to say! There is a lot of good information here. Ryan is someone who walks the talk. He also has the ability to present seemingly complex things in simple terms. Like the title says, he has broken down the private label process into easy, actionable points. This book won't do the work for you, neither is it the be all and end all of private label, but if you read and act on it, you will be on your way to private labeling simply with minimized risk. The most valuable thing I learned from taking Ryan and Jenni's course is that private label can be easy. Ryan and Jenni lead students through the entire process of launching a product. They teach students how to find and source products, how to talk to potential vendors, and how to prepare and launch a product. Lessons are delivered via email and scheduled live webinars. What's more, Ryan and Jenni are very accessible: there is a mentoring group on Facebook where one can pose questions, or ask for clarification on any topic related to the course. I can't recommend this course highly enough. It is well worth the investment! I was so lucky to have started my Private Label Journey with Ryan and Jenni and the process they have created… First, I am happy to say that 100% of my Products on Amazon are Private Label! I broke my habit on reselling big Brands using retail arbitrage. Today I sell my Brand, advertise my Brand, and make way more money with my Brands, on Amazon. Now, I race to the top and I no longer race to the bottom! Why Does the process work? ONE: Don’t lose money by importing $2k to $10K of products to Amazon, without even knowing if you can compete with the Big Boys and Big Brands. TWO: Buy from friendly USA suppliers, that don’t mind you Private Labeling their products. THREE: Start with small orders to test the market and let the products prove they are worthy of your time and investment. FOUR: Rinse and Repeat and order as much or as little of the product you need to meet your demand. This is a simple process for those whom have been taught and understand the material created by both Ryan and Jenni. Of course, there is much to learn, but Ryan and Jenni provided all the necessary resources and training to win on Amazon. I highly recommend this course, and I highly recommend Ryan and Jenni and their team! Wow I just finished the replay of last night's webinar. To say that the concept of PL came into 100% more focus for me is an understatement! Thank you so much Jenni, Ryan, Abe, Christi, and Mike for all the great stuff you said to simplify this for me and others. I have been in the program for a few months and I have learned a lot of information about private label. Most of the times when we are looking for private label products we think of importing from China but since I joined this program I discovered that there thousands of products that you can private label in the US WITHOUT having to import. Private Label the Easy Way is great in that you are not alone they are experienced people in the group who will help you every step. My product is in its infancy, I still have to work on reviews and images, but it looks promising, I have sold already but am not at a stage where I am making profit yet, watch this place next time . With the support that I have received I have managed to find more products in US that I intend to private label in the future. The support from the Facebook group is great if you ask questions you will definitely get answers. 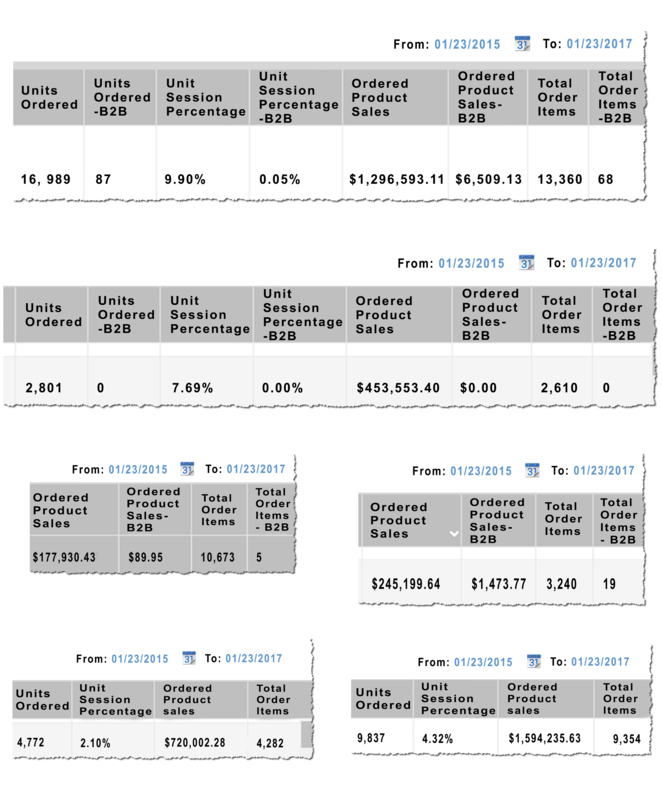 Thanks to Ryan and Jenni for putting this program together its worth, the results you get is more than your investment. It is so EASY and so SIMPLE.